Traveling among the countries in Europe isn`t all that hard when you go by train. The train system is very comprehensive, with many stops that crisscross the continent, so you can go pretty much anywhere your heart desires. That being said, it`s important to plan your trip and understand the train line system so you end up at the right destination. Take the following into consideration so your train trip is safe and fun. While you may be able to make a spur of the moment decision to take the train in Europe, it`s always better to plan ahead of time. Check the train times, which is an easy and great way to decide which one works best with your itinerary. To avoid getting to the station and having to wait for the next train, purchase your tickets prior to heading there. You can do this by phone and online. If worst comes to worst, reservations are allowed at the ticket counter as well. Keep in mind that some trains require reservations to ride and if you plan on a night ride, you`ll need to reserve your sleeping accommodations before you leave. Much like airplane travel, you can stow your suitcases in compartments above your head during the ride. Unlike at the airport, however, you won`t have to have them weighed or checked before you board. If you have large bags with you, you`ll store them in racks between the seats or at the end of the train car. Make sure your luggage is clearly labeled so it`s easy to find once you arrive at your destination and so there`s no question as to whom it belongs to should a fellow passenger have the same bags. You will not be allowed to carry firearms, explosives and weapons, so it`s never a good idea to put them into your luggage. Not all of the trains that travel through Europe are the same. Understanding the differences allows you to easily book tickets, change trains and ultimately end up where you plan to go with little frustration or confusion. Additionally, tickets for one train line might not apply to those on another train line, so it`s important to be sure you have the right tickets when you board the train. The Eurail, Inter-Rail, ScanRail and EuroDomino are the biggest names to be aware of. In some cases, a ticket works for several transfers within the same line. Be sure to check carefully so you don`t end up stranded or lost. Just like flying on an airplane, trains have first and second class seating. In general, first class is more luxurious with wider seats, more foot room and fewer passengers. Some train lines offer additional food and drink options in first class. You`ll also have food delivered by a stewardess, while in second class you`ll have to leave your seat and get refreshments from the caf?. Traveling through Europe by train is a hassle-free way to see the world without having to board airplanes or navigate traffic in foreign countries. If you find a place you love, consider contacting someone who is selling a timeshare and find yourself a second home so you can enjoy your favorite destination anytime you want. Holidays are supposed to make you feel happier and healthier. They are about relaxation and indulging yourself in things you enjoy. The last thing you need is disappointment and stress. So choosing the right accommodation in the right place is vital. Before you decide where to stay and what to stay in, work out what it is you want from your holiday. Do you want thrills and adventure, high-octane excitement? Or is your idea of bliss a lazy time on the beach with plenty to eat and drink? If you want an energetic holiday it doesn`t make sense to have a picturesque cottage deep in the countryside. What`s the point of having the home of your dreams if there`s nothing to do there? And if you want a peaceful time don`t book in to the centre of a bustling city. Target exactly what you want from your time off. Do your research first. It may seem obvious, but make sure there isn`t a major event, such as a film festival or a grand prix in town at the same time as you. Holidaying at Cannes during the film festival would be horrendously expensive. Once you`ve found where you want to go, investigate the accommodation offers. Booking your accommodation well in advance will also save you money. Work out what kinds of accommodations there are and what they charge. Compare different prices and offers. And read comments by former guests. Just one little thing could help you make up your mind. For instance if you don`t like noisy children and guests complained the pool was full of them, that`s a good guide on where not to stay. Look at where the accommodation is. Is it near transport links, tourist hotspots and other services or is it in the middle of nowhere? Check the rules on check-in and out times, payment and cancellation. If such questions are not answered on the company`s website, make sure you ask. And if the response is vague or evasive, don`t book. Many people simply assume they will stay in a hotel, without considering the options. Hotels are usually well-placed in tourist areas. They can be expensive, but you know you are going to be pampered and indulged. They are good for short stays and business trips. Yet staying in a holiday apartment is something that most travellers never consider. But who would not rather stay in an apartment exclusively their own with all the comforts of home for the same price as a standard hotel? If there are a lot of you travelling, such as a family group or wedding party, rental apartments make more sense. They will be cheaper than hiring a series of hotel rooms and provide much more space. You will almost always save money by taking the rental apartment option. Bread and Breakfasts are like smaller hotels with more modest facilities. They tend to be found in the countryside and smaller towns and cities. They are cheap and cheerful and perfect for an overnight or short stay. It will means a less stressful time away if you do your homework with hotel chains, sell my timeshare, or holiday firms.. When booking a hotel room or any holiday accommodation it is vital to research it. This helps to prevent any nasty little surprises once you arrive keeping your trip as enjoyable and relaxing as possible. One very useful tool for this is the internet which allows you to see the place and its surrounding area, read the official information and most importantly see traveller reviews! A big factor in firstly deciding what area you would like to stay in is what there is to see and do there and so you should spend some time browsing the multitude of various travel sites to read up on the local attractions. This will also help you to save time deciding what to do each day once you`ve arrived. Next you will need to decide on what level of luxury you want and can afford. This can involve a certain amount of negotiation in terms of location, whether to stay central or to move out slightly in order to find a better price. Now you have an idea of what you are searching for you can do a more detailed search of the area and identify a selection of hotels that you would like to stay in. You can then compare these hotels on a price comparison website but to take this further you can try to save a bit extra by ringing each hotel and try to negotiate a price reduction by playing them off against each other. Once you have made a decision and have arranged your accommodation it is a good time to finalise your itinerary ensuring that you have adequate travel arrangements. For example if you are some distance from the attractions you wish to visit check to see if there is frequent transport to and from the hotel to the attractions and if not check if the hotel can provide transport for you. If this is not the case you would be wise to check for a taxi service and car hire facilities. This should also be checked for when travelling to and from the airport which most hotels will offer as a complimentary service. Depending on what facilities you will require while on holiday check to see what the accommodation has to offer, for example do they have a Wi-Fi connection? If you then find something to be missing you can research the local area to see where else it can be found or contact the hotel for more information regarding that facility in the area. These tips are equally applicable to all forms of holiday accommodation from a hotel to a private villa so bear them in mind whatever it is you are looking for. Europe is the perfect destination for a summer holiday whether it`s a lazy week in the sun, a cultural city break, a week of partying or an activity holiday against a backdrop of stunning scenery. Europe has some of the best beaches the world has to offer whatever your budget. For instance, Cap Feret in France is just an hour`s drive from Bordeaux yet is one of the most exclusive beach resorts in Europe. On the other hand, former Eastern bloc countries such as Bulgaria and Croatia offer equally beautiful yet markedly cheaper beach resorts in the form of Golden Sands and Baska Voda respectively. And then there is the vast array of stunning beaches of Spain, Greece and Italy to name but a few. Europe also has some of the most culturally and historically important, not to mention the most vibrant, cities the world has to offer. Alongside the better known city break destinations such as London, Paris, Rome and Barcelona are other places that can give you a more authentic taste of their country`s culture. For instance, while many visitors to Portugal will head straight for Lisbon, Porto offers a cheaper but just as enjoyable option. Similarly, if you fancy Germany then why not try a trip to Dresden instead of Berlin or choose Utrecht over Amsterdam if you`re heading to the Netherlands? In addition, Eastern European countries such as Tallinn or Warsaw offer a good option for a city break. If partying is your thing then Europe has arguably the world`s number one party paradise in the small island of Ibiza, a true 24-hour party destination. And with cities such as Barcelona, Pamplona (home of running with the bulls), Spain could be Europe`s unofficial party capital. Further north and cities such as Stockholm in Sweden and Reykjavik in Iceland offer great alternative party destinations with their very long sun-filled summer nights - and the darkened long winter nights for that matter. If you like to party hard then try out Athens in Greece, St Tropez in France or Budapest in Hungary all of which offer great all-night party destinations, particularly in the summer. In addition to all of this, Europe has some of the most stunning scenery you will ever see and it`s not just confined to the winter ski resorts. The Scottish highlands has the most amazing mountains, valleys and beaches that rival anything New Zealand has to offer while Switzerland and Bavaria both offer some stunning scenery and all make for great driving destinations. So a summer holiday really does have something to offer every type of traveller, be it a family of four or a hedonistic twenty-something, an adrenaline junkie or a culture vulture. And, although to can take the train or plane, go by boat or even hike, one of the best ways to see this fascinating continent is by car and sites such as 121carhire.com have some of the best driving deals on offer. Escaping the winter blues by travelling overseas is becoming so popular that many of the most common destinations - the Caribbean, Florida and Dubai - are now increasingly busy during this time of year. If you truly want to get away from it all and also escape the crowds, there are plenty of less popular but equally welcoming places you can travel to, that offer glorious summer weather in the midst of the British winter. The Middle Eastern peninsula of Qatar is an up-and-coming alternative to Dubai that offers the same high class facilities and flawless levels of service but has yet to become a major tourist destination. Almost unbearably hot during the summer, daytime temperatures still hit the 20s during the winter making it a great place to escape to during the colder months. Surrounded by sea on three sides, Qatar offers a superb range of watersports while land lovers can visit museums, embark on desert safaris, kite surf, play on championship golf courses or take advantage of the many superb shopping opportunities. Another lesser-known destination that has a great climate at this time of year is Cambodia. The high season in this Southeast Asian country runs from December to April and visitors can expect scorching weather, beautiful beaches, cheap, tasty local food and a fascinating array of historical and cultural sights. Should you tire of the beach there are awe-inspiring jungle trails filled with wildlife to explore or you can take a boat trip along the Mekong. Indonesia is another country that offers a warm welcome during the winter months. Home to some 240 million people, Indonesia has the fourth largest population in the world after China, India and the USA and is made up of more than 17,000 individual islands, including several well known destinations such as Bali, Sumatra and Java. With just two seasons - wet and dry - and an average temperature that rarely falls below 25 degrees Celsius, Indonesia is a great year-round destination. Although winter coincides with the wet season, Indonesia still sees lots of sun during this time of year and though there is more rain during these months, it is normally short lived and easily avoided. There are also many parts of Indonesia that receive little rain regardless of the season so, with a little forward planning, it is easy to find the perfect holiday spot. Travelling during the winter months, especially during the Christmas and New Year holiday season, is often significantly more expensive than travelling at other times. Booking in advance is one way to ensure you get the best possible deal but you should also check into the availability of discount vouchers from the likes of First Choice as these can often help you save even more. For many people embarking on their holidays or travels, they may be realising that car hire is an essential facet of the trip. If you are used to the flexibility and convenience of having a car at home, it makes having use of a vehicle indispensable to your holiday. Car hire is not always a simple process as it involves working out exactly what you want and need from your rental vehicle, as well as trying to avoid common pitfalls and extra expense. Holidays can already cost a great deal of money, so as well as some practical tips, here are some tips on keeping the price low. One of the biggest practicalities is thinking about what kind of vehicle you require. If you need a lot of room for baggage then a small run around won`t necessarily cut it. If you would prefer a smaller vehicle, this can of course save you money, both in terms of fuel and the cost of the car rental. Bigger vehicles are less likely to be rented out though, so if you are looking for a last minute bargain, many firms will rent out larger cars at a similar price to smaller ones when their fleet has been reduced. Next it`s worth thinking about what you need to take. If you require child or baby car seats you will need to check in advance whether the car rental firm also rent out car seats and if they have the correct sizes for your infant. Sometimes it can work out cheaper to bring your own car seat and although this can mean taking it on a flight, some airlines do not charge extra baggage for them. If you are not familiar with the area surrounding your destination, be sure to take a road map as well as your satnav. Many car rental firms rent out satnav and if your own one is very expensive this may well be the more sensible option. It may seem obvious but it`s really important to remember your driving license or any other documents required by the rental firm, as many people assume a passport alone will be enough to rent out a car. It`s also worth checking the local driving laws before leaving. Speed limits and legal alcohol levels can differ from country to country and a run in with local police can certainly sour holiday memories. If keeping the costs low are important to you, then you might want to remember some key tips on saving fuel. Try not to drive around with extra baggage as this can mean the vehicle uses more fuel. If you need to pick up groceries, do it on the way home from a day out rather than making an extra journey. 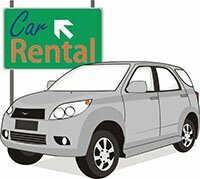 By following these tips you will hopefully have a smoother car rental transaction and keep the costs low when you do find car hire. This means you and your family or friends get on with enjoying a well-deserved break. The number of people taking cruises is increasing year on year and cruising is no longer just for the privileged few. With the growth of the cruise industry has come an overwhelming amount of packages, purchasing options, itineraries and prices. So it is a good idea to take your time and shop around for the best deal. If you know what you want from a cruise ship and the places you would like to visit this makes the whole process much easier. If, however, you are flexible on dates, budget and itinerary then you stand the best chance of getting an excellent deal. Most people book cruises from January through to March and this is the time when the industry has the best deals on offer. There is much competition between cruise organisations so don`t be afraid to ask exactly what you will get for your money. If you have used a particular cruise line before the chances are you will qualify for a discount as companies wish to retain previous customers. Remember to ask about any discounts available. Call the particular cruise line which interests you and ask to speak to a representative to discuss your own particular requirements with regard to the type of cabin you require. Talking to someone means you will think of questions you want to ask and, once you have established a rapport with a representative, you will be able to speak to them again if something else springs to mind which you might not have first thought of. Sunday newspapers are a great place to find cruise bargains as are websites. Many will offer last minute deals so, if you can go cruising at short notice, you are likely to get a good deal. Make sure, however, to ask about hidden or additional fees and in particular ask about cancellation penalties. You will need to factor all these into your budget. Many people`s preference is to talk direct to a travel agent. If you are researching a cruise line which has an agent near you, go and speak to them. Tell them just what you`re looking for and that you want their best prices. If you have a fixed budget let them know immediately and they will search out something just right for you. Local agents are particularly useful for travellers with special needs or requests as well as for cruises that require special documentation or visas. Never be afraid to negotiate although don`t be too cheeky. You could maybe ask for some onboard extras for example. An agent working on your behalf will be sure to find the best cruise deals available to suit your exact needs. There are whole host of places outside of London that are worth visiting during a trip to the UK, so long as you know where to look for them. Although London is vast and has all the glamour and glitz of centuries of culture engrained in every street, a world renowned west end theatre district and more museums, shopping opportunities, sporting activities and sightseeing tours than you could ever tire of, London is not even half the story of the United Kingdom. With a population over 62 million people, the UK is one of the leading political and economic countries on the world stage. A trip to the country will illustrate the thousands of years that have created such an empire and contributed to its success. The United Kingdom has a rich and diverse history thanks to the combined force of Wales, Northern Ireland and Scotland alongside England. The golden beaches of the Pembrokeshire coast in Wales and the Cornish shores of southwest England have been popular holiday spots with British holidaymakers for many years. The contours of majestic Scotland are often overlooked due to its cold climate near to the top of the northern hemisphere. However, an adventure north of the English border is certainly worthwhile to discover some beautiful scenery and cosmopolitan cities. The beautiful mountains, glorious lochs and natural wildlife are breathtaking and inspirational. Magnificent cities like Edinburgh, Glasgow and Aberdeen have their own secret hideaways tucked away down ancient cobbled streets. England`s Peak District and Lake District are vast national parks in the north of England with glorious panoramas of the countryside. Serene lakes and sweeping mountains are accompanied by some of the greatest country houses in the region. Places such as Hardwick Hall and Harewood House offer a step back in time showing the historical aristocracy that helped build the country. Other thriving cities such as Newcastle, Birmingham and Manchester are bastions of nightlife, retail therapy and café culture. Some real gems of hidden holiday locations can be found just a stone`s throw from all of these big metropolises. The Warwickshire countryside surrounding Birmingham extends down into chocolate-box style villages. With old world charm and quintessentially English stone cottages, the villages extending down into the Cotswolds from Stratford-Upon-Avon hark back to a Shakespearian view of the country. The Cheshire countryside around Manchester is peppered with pockets of affluent small towns, with medieval parish churches still at the heart of their communities. The tiny coastal retreats turn into hives of activity during the height of summer, with families migrating to the seaside for respectable surfing conditions, locally caught seafood, a variety of water sports and the chance to practice the great British past time of sandcastle construction. A tiny cluster of islands off the most south-western point of England known as the Isles of Scilly enjoy Mediterranean currents and a laidback way of life. With a population of only 2000 people, visitors will be enchanted by the charming island life, beautiful panoramas and dependence on fishing and agriculture. For a slice of ultimate British holiday making, a trip to Devon to sample a quintessential clotted cream tea is mandatory. Offering breathtaking views and plenty of activities for all the family Park Resorts Bideford Bay Holiday Park is the perfect base for exploring. We all like to daydream about where to go on holiday. Whether it`s to soak up the sun in Europe, enjoy a cultural trip to somewhere exotic or head to a family friendly destination for some much deserved downtime, we all have ideas about the type of break we want. When it comes to arranging accommodation, however, many people overlook the option of staying in a private villa and book a hotel without really thinking about it. There are, however, a number of benefits in choosing a private villa. Price and availability are often key drivers when looking for a holiday, particularly if you are travelling in a large family group. A villa can be a much more affordable option and makes it easier to keep an extended family together rather than at different ends of a sizeable holiday complex. A villa will also give a much greater degree of privacy. Who hasn`t booked a holiday in a resort with excellent facilities and entertainment and then failed to make use of any of them or not been able to access them as they are too busy? In a private villa you can always get the best sunbathing spot, take a dip when you choose and enjoy the tranquillity as you relax and unwind. You will also have the freedom to do what you want and when. You can breakfast, lunch and dinner when you feel like it, get a drink when you want one without having to try and get a waiter`s attention and not have to worry about making yourself presentable if you don`t want to. One of the drawbacks to hotel accommodation, however grand the hotel, is that you don`t get a huge amount of space (unless you have serious amounts of cash). This can become irksome particularly if you are taking a longer holiday or if the weather is not all you`d hoped for. In a private villa you will have a lot more indoor space to enjoy and more amenities than you would have in a hotel. Being able to self-cater is important to many holidaymakers, particularly those with small children, fussy eaters or those with specific dietary requirements. The full range of cooking facilities and food storage available in a villa makes mealtimes easier to manage. Of course, you can also enjoy meals out and make the most of what`s on offer at the local cafes and restaurants in the vicinity if you wish. If the privacy and freedom of a villa appeals but not the self-catering aspect then you could always look for a villa that comes with staff such as a cook or cleaner. This way you can have the best of both worlds and enjoy a really indulgent holiday but at the fraction of a cost. A private villa has a lot to offer the discerning holiday maker who is looking for a relaxing and peaceful holiday. The privacy, space and flexibility that a villa holiday brings means that you have the opportunity to determine the type of holiday that you want to enjoy. Throngs of people enjoy cruising each year and that`s because the destinations you can access are exotic and offer plenty of amazing sights and intriguing culture. With its grand beaches and laid-back attitude, the Caribbean is paradise for those who enjoy relaxing as well as exploring. Lapping up the sun`s rays on one of the Caribbean`s many small islands is one option, while others will want to see Dunn`s River Falls in Jamaica or trek through the rainforests of Costa Rica. A chillier but no less spectacular time can be had cruising off Norway. The main attraction here is undoubtedly the awe-inspiring Norwegian fjords; places such as the Geirangerfjord are listed by UNESCO and the scenery here is dominated by eye-catching trees and snowy mountains. Huge cliffs will rear up near to the boat as you glide past and are truly an extraordinary sight that`s hard to match elsewhere. Of course, Norway`s attractions are not just limited to the big and bold scenery and there`s plenty to cherish on the Norwegian coastline, such as quaint fishing villages and opportunities to ride the Flam Railway. Depending on the cruise offered and the time of year, you may witness the light fantastic that is the Northern Lights or take a day excursion and head out dog sledding. A classic cruise destination is the Mediterranean. The Mediterranean`s appeal surely begins with its weather: for much of the year, you can expect sun and that`s why plenty of cruise companies sail their vessels leisurely off the coasts of countries such as Spain, Portugal and Italy. Still, there`s plenty more to discover through day trips while docked at cities in these countries. You might take a tour around Rome and discover its fascinating ancient past, or visit one of the many Greek islands. Elsewhere, vibrant cities such as Barcelona and Lisbon are visited by many tourists each year and have their own charm and tourist sights. A polar opposite to a trip around the Mediterranean, a cruise into the region known as Antarctica may be a bit cold, but such an adventure will be truly unique. For a start, you`ll have a chance to witness animals, in their natural environment, that you can`t see elsewhere: everything from sea birds to colonies of penguins can be observed while sailing the glacial seas of the region. If you`re not really an animal lover, an Antarctic cruise still has a big draw: the area is full of breathtaking, almost eerie scenery, including glacial cliffs and islands of ice. Finally, it may not be one of the cheap cruise holidays out there, but the Far East offers a taste of the exotic and a chance to discover different cultures. One suggested destination within the region is Phuket, in Thailand. There you`ll find temples and pagodas, bustling harbours and beyond, exciting islands to explore. Nearby, you can stroll along warm beaches or try your hand at water activities such as snorkelling. Being a large and varied continent, Europe offers a wide choice of top quality resorts to suit all types of holidays. From skiing in the snow encrusted Alps to the sun drenched islands off the coast of Spain, the hardest decision is choosing which of the many top resorts to visit. Europe is revered for its ski resorts. Val D`Isere and its` neighbour Tignes are high up on the list and are particularly favoured by A list celebrities. Situated in the French Alps close to the Italian border, the centre is lively and attractive, featuring interesting architecture that is pleasing to the eye. The view from the Alps is stunning and can be enjoyed during the summer by avid walkers. The skiing is known throughout the world, featuring a large number of off-piste runs and a range of runs to suit all levels. Being so high, good snow is almost always guaranteed. Europe has its fair share of historic cities, many of which feature in the top 10 most visited cities in the world. Of particular note are Rome, London and Paris, all of which attract visitors in their hundreds of thousands. Rome features the most historic and fascinating of all architecture, including the Coliseum, whereas London is famed for its Royal Family and its theatre life and Paris has a unique romantic culture all of its own. All, of course, offer excellent shopping and peculiarities particular to each city. The Greek Islands have to be included amongst top European resorts and Mykonos is a perfect example. A mixture of old and new, it is bursting at the seams with people enjoying the idyllic weather and scenery and the vibrant night scene. Featuring some unique sites, such as the Windmills and Little Venice, there is plenty to enjoy away from the beaches and the bars. The Algarve is always a popular European area as it offers a heady mix of sunshine, golden sands, secluded coves and rocky cliffs partnered with medieval towns boasting cobbled streets and impressive castles. On top of this, experience some lively nightlife and great food and wine and you have the perfect holiday resort. To get the most from your Algarve experience consider booking cheap holidays in Albufeira, perfectly positioned next to the coast and boasting a million and one things for the traveller to do. Whether you choose to ski, do the city tour, island hop or bath on sun drenched beaches, European resorts offer it all.